Originally uploaded by Ken Dyck. 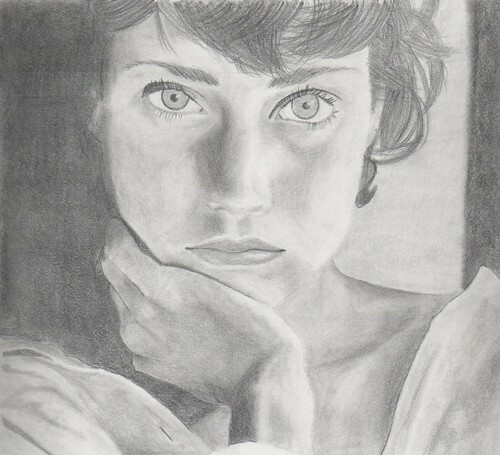 This is my first attempt at drawing a portrait in its entirety (eyes, nose, lips, hair, etc). It’s based on one of Intrepid Lady’s excellent photos (thanks for permission to draw it and post the result). For a first attempt, I’m relatively pleased with how it turned out. I need some more practice with hair. And I didn’t quite capture the mouth the way I see it in the photo. The shading around the nose took forever. Of all things, I’m surprised at how well the shirt turned out. But, like I said, for a first attempt, I’m happy.